Australian rugby union player who became known as a centre for the Auckland Blues in the Super Rugby league. He attended Auckland Grammar School. He signed a two-year deal with ASM Clermont Auvergne in 2012. He was born into a renowned rugby family that included Chase, Joe, Jeremy, and Kyle. 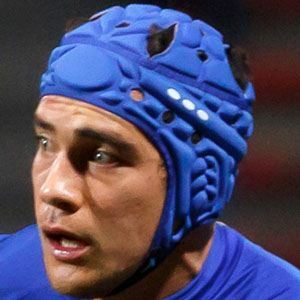 He played alongside Richie McCaw on New Zealand's national team in 2010.